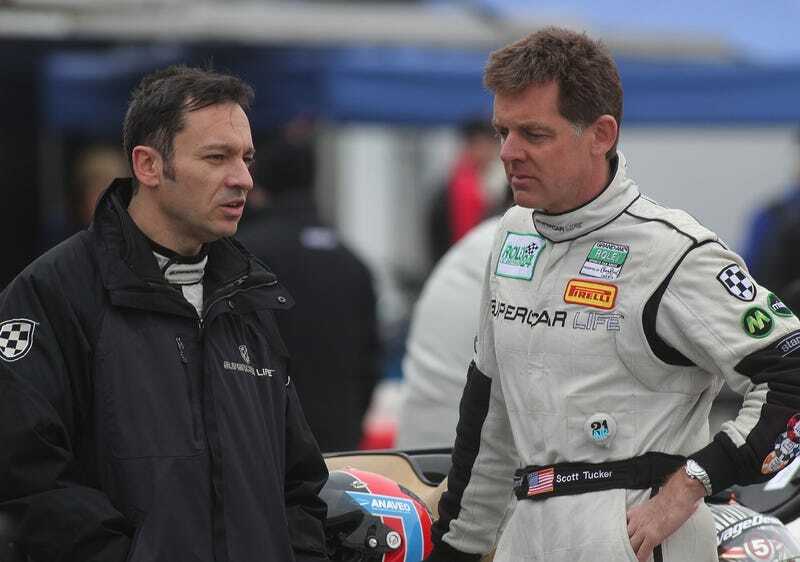 A federal judge ruled on Friday that former American Le Mans Series champion Scott Tucker, whose indictment said he extended payday loans at interest rates as high as 700 percent, and others involved in the scheme owe the Federal Trade Commission $1.266 billion for systematically deceiving customers. According to the Kansas City Star, the basis for the judgement was misleading terms presented with the payday loans. The Kansas City Star reports that the FTC said the “poorly crafted loan disclosures and automatic repayment schedules” associated with Tucker’s loans would put recipients of a $300 loan on the hook for $975. The ruling by Nevada federal judge Gloria Navarro also prohibits Tucker from future participation in the lending business. Navarro’s $1.266 billion order affects Tucker, the estate of his brother Blaine, who committed suicide in 2014 and various corporate entities under their control, including AMG Capital Management, Black Creek Capital Partners, Level 5 Motorsports, LeadFlash Consulting and Broadmoor Capital Partners. Navarro also ordered Tucker’s wife to pay the FTC $19 million, an amount that represents money she acquired from the lending businesses. And an entity Tucker controls called Park 269, which owns the couple’s Aspen residence, was also ordered to pay $8 million to the FTC. The Kansas City Star reports that Tucker also faces criminal charges in the state of New York, which caps interest rates at 25 percent annually. That’s right—according to the indictment, Tucker exceeded New York’s interest-rate limits by 675 percent with his payday loans. Tucker’s attorney was not immediately available for comment on Saturday. He had denied wrongdoing in the FTC case and has pleaded not guilty to the criminal charges against him. That trial is scheduled for April 2017. Despite an asset freeze in March, Tucker was able to live on a lavish $8,000 per month full of “spa, steakhouse, country club and liquor purchases” through Aug. 31, and his lawyers asked for him to be able to live off of that amount for the duration of the year. The FTC said no, and Tucker reportedly withdrew extra money throughout his period of living off of $8,000 each month. In September, the Kansas City Star reported that Navarro would consider giving Tucker an allowance again should the family be able to demonstrate that they lack the resources for basic living expenses.